From New York, September 10, 1973. 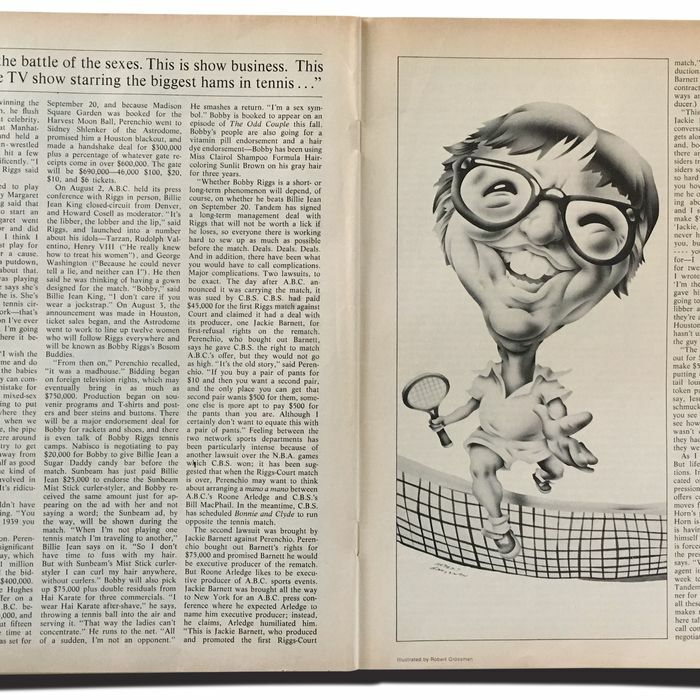 The promoter, Jerry Perenchio, saw the match for what it was, sort of: “I wouldn’t even want to be involved if this was tennis … This isn’t tennis. 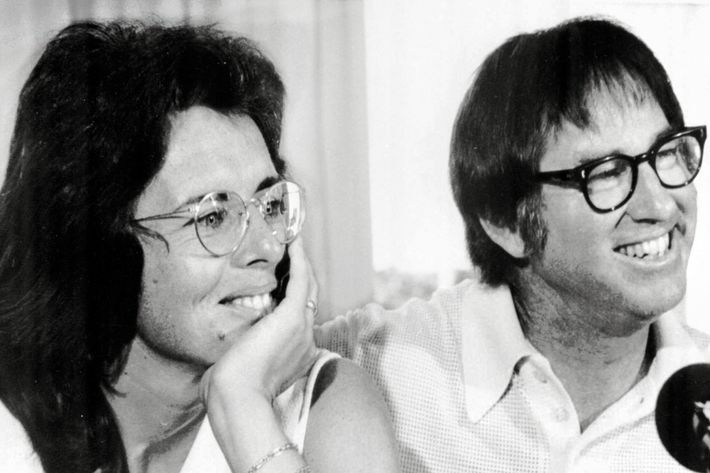 This is the battle of the sexes.” And Ephron herself called it even more acutely. “This isn’t even the battle of the sexes,” she wrote. “This is show business. This is a prime-time television variety show starring the two biggest hams in tennis. One of them happens to be a 29-year-old woman who is a devout believer in women’s liberation, and the other is a 55-year-old man who has managed to hustle his way to a remarkable comeback attacking the women’s movement and women’s tennis. Perenchio has managed to parlay the act into the biggest-money tennis event in history — the gross receipts may go as high as $5 million.” On the tournament circuit at the time, King routinely earned far less than the men. Stone has implied in interviews that on recent films, her male co-stars have taken pay cuts to bring their salaries into line with hers.